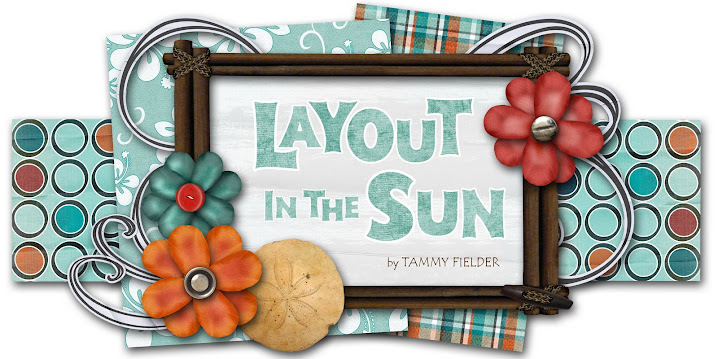 Here's my submission for this week's Weekend Sketch Challenge hosted by the wonderfully talented (and beautiful) Mary Jo Albright! 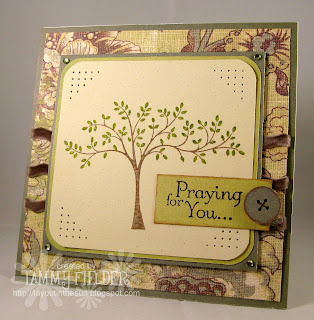 I pulled out the "Grandpa Floral" Wild Asparagus designer paper again... because it's just so pretty... but this time I used the tree image and a sentiment from Stampin' Up's "Thoughts and Prayers" stamp set. I used markers to color the tree before stamping it, and made a faux button by punching a circle out of cardstock, piercing little holes in it, and drawing thread lines on it. Turned out kinda cute if you ask me! I love the soft colors and the paper you used. Very nicely done. I love the paper piercing!